As always, the changes that Porsche makes with their cars are more evident under the hood. Such is the case with the new Porsche 911 Carrera. While the sports car received a facelift, the main changes are under the hood.The 911 Carrera is the first model by the German manufacturer with a turbocharged engine. The first time we will see the new 911 Carrera will be at the Frankfurt Motor Show. The new 3.0-liter turbocharged engine produces 370hp of power, with the Carrera S model bumping that power to even higher levels at 420hp. 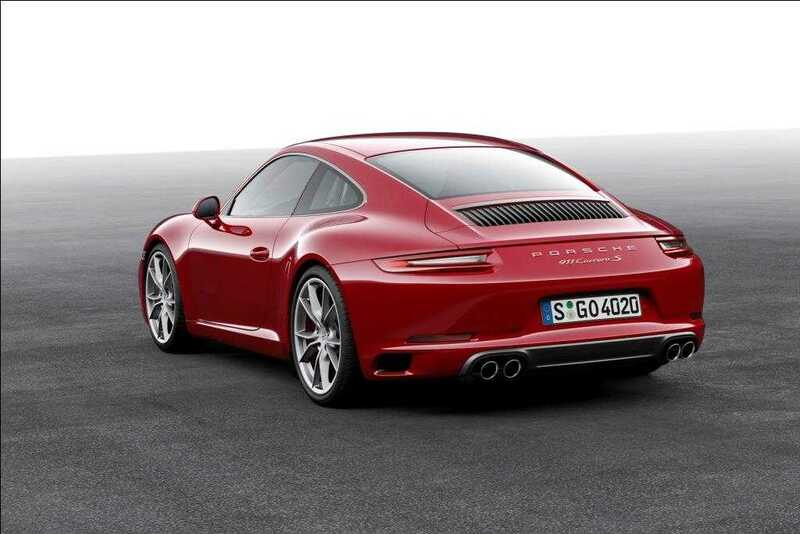 The standard 911 model is faster than the 2015 Carrera by 20 ponies. 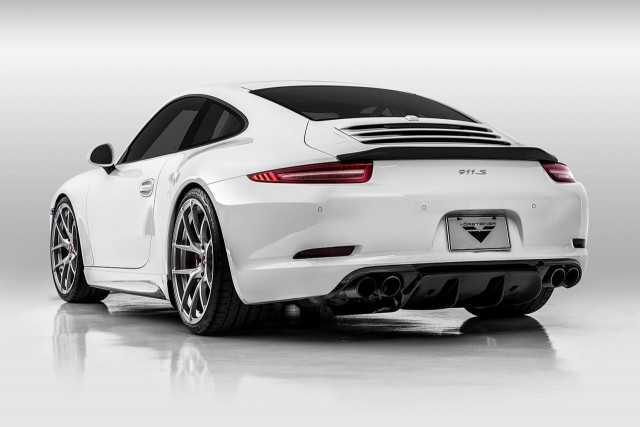 The Carrera S gets more ponies thanks to the specific exhaust system, modified compressors and tuned engine management. All that power under the hood results with a sprinting time of just 4 seconds for 0 to 60mph for the base model and 3.7 seconds for the 911 Carrera S. Top speed is limited to 183mph and 193mph respectively. Both models get a seven-speed manual gearbox as a standard, with prospective buyers also having the option to add PDK, Porsche’s signature automatic transmission as well. Thanks to the new turbocharged engine, the company claims that 2017 Porsche 911 Carrera will be 12% more efficient. As for the new styling and design, all the changes made by Porsche are subtle and hardly noticeable. For starters, the German company has added new headlights enriched with daytime running lights. The door handles are redesigned, now without recess covers. The rear lid is another element that was changed and now features vertical louvers. The rear, new rear lights now include four-point lights for braking. A significant change has been made to the chassis as well. With the new Porsche Active Suspension Management, the chassis of the 911 Carrera is lowered by 10mm. The lowered chassis will improve the stability of the car during fast cornering. The new 911 Carrera features completely new infotainment system, with the Porsche Communication Manager (PCM) making its way to the sports car. Featuring a multi-touch seven-inch display, users can operate the infotainment system with several different gestures. The display also has handwriting recognition. As for tech systems, Apple’s CarPlay makes its way to the 911 Carrera along with Google Earth and Streetview. Those who want a more luxurious package can choose the Sports Chrono Package. For this package, Porsche has included new modes for the steering wheel, all of which can be switched on the wheel. The modes include Normal, Individual, Sport and Sports Plus.